The most successful Koreanovela of 2011 comes to an end. This Friday, "Dream High" is stepping to its final episode! "Dream High" is a K-Pop themed Koreanovela which tells the story of 6 youngsters who didn't give up to reach their dreams. These six students were blessed with different talents in singing and dancing. They used these talents to achieve their goals. Now, they were already young artists who were inspiring many. Just like the ordinary people, these 6 youngsters were also tested by different twists and turns in life which made them stronger and better persons! It's so sad to know that this Korean Drama we all used to love will bid farewell. Truly, the stars of this Koreanovela didn't only captivate our hearts because of their good looks. But also, they inspired us by their talents and the way they handle challenges! 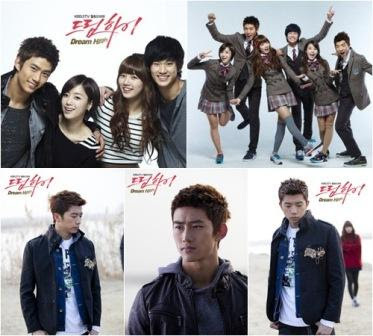 The final episode of "Dream High" airs this Friday right after "PBB Teen Edition 4" only in ABS-CBN's leading Primetime Bida!